Do you live in Wandsworth? Or perhaps the Sutton area? Do you buy your food and other shopping from your local Tesco store? If so, you could help us to raise up to £8,000 in funding for future Wandle cleanups! Two of our recent applications to the Tesco Bags of Help fund – Spring Clean in Sutton, and Wandsworth for the Wandle – have been successful, and now you and other local residents can help decide how much funding these projects get, with £4,000 available at each store. Throughout May and June, until voting closes on 30th June, you will be able to vote for your favourite project in one of the local Tesco stores on the map below. If Wandle cleanups get the most votes, we will be awarded £8,000 to continue funding them for 2017 and 2018! Our cleanups make a big difference to the river. 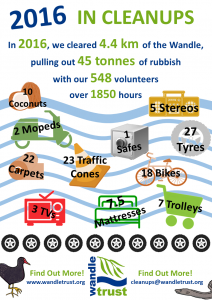 In 2016 alone we removed 47 tonnes of rubbish, clearing 4.4 km of the Wandle. So we really need this additional financial support to purchase new equipment and run the events through 2017 and 2018. What is the Tesco Bags of Help fund? Tesco has teamed up with Groundwork to launch its community funding scheme, which sees grants of £4,000, £2,000 and £1,000 – all raised from the 5p plastic bag levy – being awarded to local community projects. Bags of Help offers community groups and projects across the UK a share of revenue generated from the 5p charge levied on single-use carrier bags. Members of the public will be able to vote in store during May and June to decide which projects should receive the £4,000, £2,000 and £1,000 awards. Cast your own vote! The Tesco stores which are holding votes for Wandsworth and Sutton are shown on the map above. 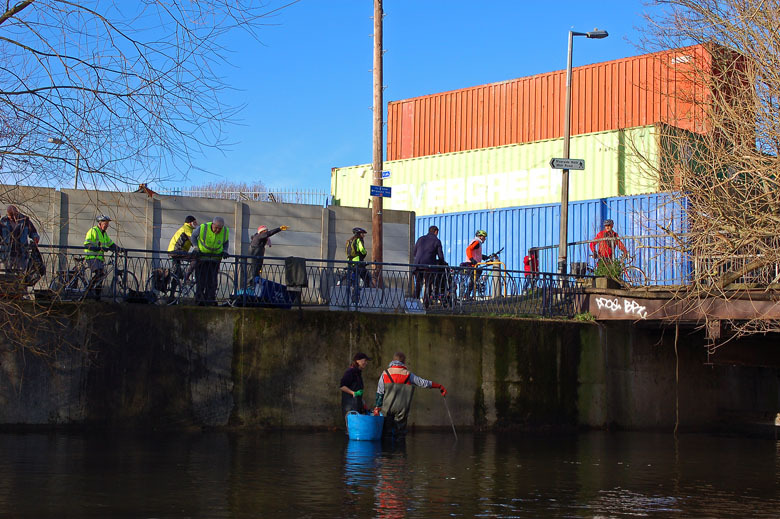 Please vote for our Wandle cleanups and help clean up the Wandle in your local area. 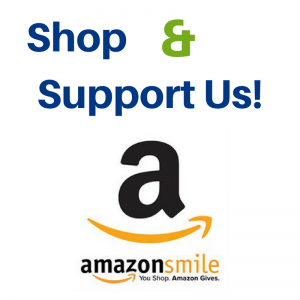 Help us spread the word! Share this blog and let your friends and neighbours know that the vote is open until June 30th. Encourage them to shop in their local Tesco store in Wandsworth or Sutton, and cast their vote for Wandle cleanups in 2017 and 2018. 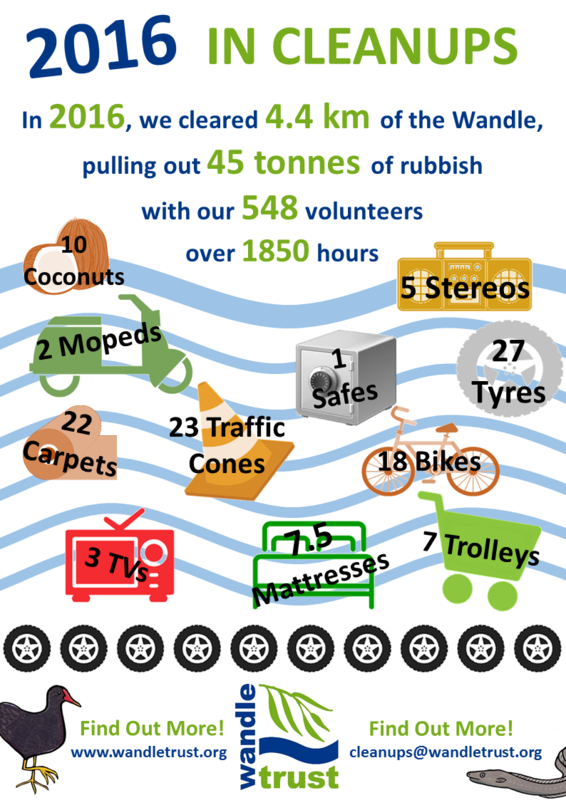 Thank you for your support in helping us to carry on running Wandle cleanups! This entry was posted in Uncategorized and tagged Cleanups, Events, Funding, People, Spreading the Wandle Word, Sutton, Tesco, Volunteer, Voting, Wandle, Wandworth on May 9, 2017 by Polly.